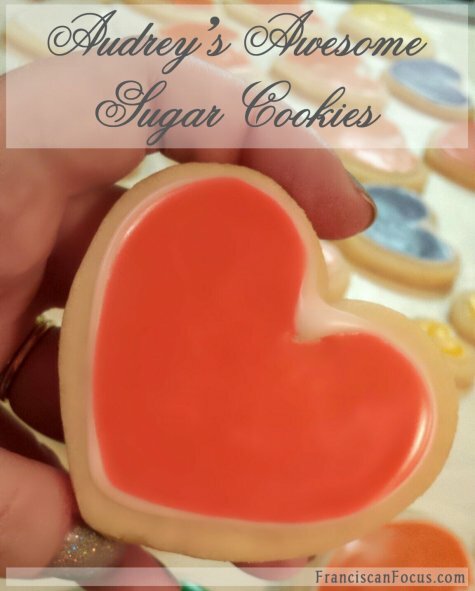 After sharing my second successful attempt at baking sugar cookies using a recipe from my mom-in-law ♥ -- and being asked for the recipe from my knows-how-to-cook sis-in-law ♥ -- I figgered I might as well post it here so that others can use it, too. Also, while the recipe says to form the dough into small balls, I instead used heart-shaped cookie cutters (also from my mom-in-law ♥), which worked out splendidly! So, I've noted both ways in the following instructions. If you give this a try, please lemme know what ya think! Flatten the dough with a rolling pin, and then use cookie cutters on the dough. Use a thin metal spatula to transfer the cut-out shapes to an ungreased baking sheet. NOTE: I noticed that when I used the coconut oil, the chilled dough was much more rock-like than the previous batch using vegetable oil. I had to chip away at the dough with a butter knife, and then break apart the chunks into smaller chunks. Once I'd done that, I was able to gather and then mash down the smaller chunks with a rolling pin. So, the next time I make these, I think I'll first roll out the dough, then chill it. Bake the cookies at 350°F for 10 minutes. Let the cookies cool before removing them from the baking sheet. If you used cookie cutters in Step 6, you can ice them once they've cooled, which is what I did.